Learning Russian is an integral part of adaptation in Belarus. Knowing the Russian language you can go to university, get a job and just live comfortably in any of the cities. Of course, you can try to learn Russian by yourself, but this will take many years, because Russian is considered to be one of the most difficult in the world. To accelerate the learning process, use the paid courses. We have gathered for you a list of places where you can quickly and inexpensively learn Russian. Belarusian State University is the most prestigious in the country. To go to university, you need to have exellent marks at the entrance exams. At the same time, the quality of education is at a decent European level. The university offers good conditions for studying and living foreign students, as well as Russian language courses. You can choose the course duration (from 1 to 10 months), and also enroll in summer courses lasting 1-2 months. 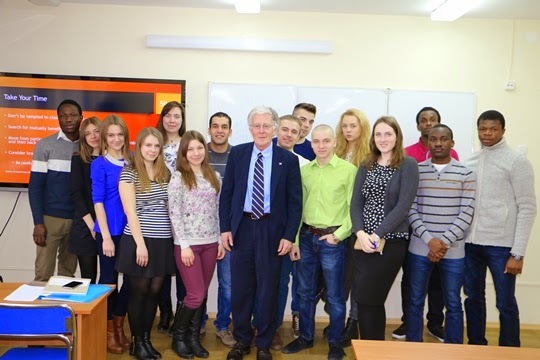 The language school «Leader» is one of the best schools for studying the Russian language. Teachers are fluent in English and will be able to explain in detail all the subtleties of the Russian language. Training takes place in the classroom or online. Several programs are available for selection. On the website of the company you can find a calculator, through which it is easy to calculate the price of the course. The Institute offers several training programs, including programs for foreign business partners wishing to negotiate in Russian. Course last from 3 to 6 months (depending on the chosen program). The cost and the number of people in the group vary, please check the information by phone. Also, the courses tell about the peculiarities of Belarusian culture and mentality, so that foreign students are more easily assimilated. Grodno State University annually organizes a summer language school for all comers. There you can not only learn Russian, but also learn more about the culture and traditions of Belarus. You will get acquainted with the new country and its inhabitants, visit many interesting events organized in the framework of training. The State University in Brest offers foreigners an accelerated course to learn Russian. Duration of training is from 1 to 4 weeks, 5 days a week. After training, you will receive an official document that you can use when entering the university or when hiring. In addition to training Brest University offers accommodation, meals and excursions for an additional fee. 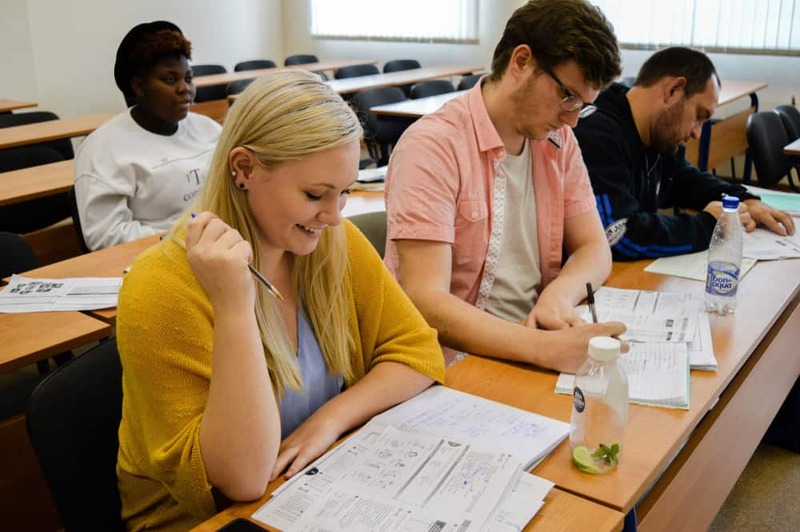 The Belarusian University of Economics offers a variety of programs for studying the Russian language “from scratch” or improving existing knowledge. The training lasts from 1 week to 6 months, depending on the chosen program. On the university’s website you can find detailed information on the cost of courses and additional services. Please, check the information by phone or e-mail. The courses are taught by highly qualified teachers with many years of experience working with foreign students both in Belarusian universities and abroad. Many of them are authors of textbooks, manuals and original methods of teaching Russian as a foreign language. Accommodation in the hostel of the university is possible, if there are vacant seats at the time of application. Baranovichi is a small cozy city in the Brest region. There is a Baranovichi State University, which offers all comers to learn Russian at the of elementary, basic or advanced level. Depending on the chosen program, training takes from 2 to 6 months. The main advantage of these courses is the low price in comparison with other larger cities of Belarus. In addition to training you will be offered a comfortable hostel, fascinating excursions around Brest and other cities. At the end of the course, students take exams and receive an official certificate of completion of the courses. On the university’s website you can find out all the necessary information, including about legal residence in Belarus. This is all we wanted to tell you about the language courses in Belarus. We wish you successful training! To learn more about Belarus, try our national cuisine or go to one of the summer festivals.